The hilarious and heartbreaking skit presents a fanciful toy for "sensitive" young hearts. Many queer men recall the loneliness of being a child in a heteronormative world. Longed-for Barbie dolls are off-limits. The sports-related games of other boys seem intimidating or just plain dull. 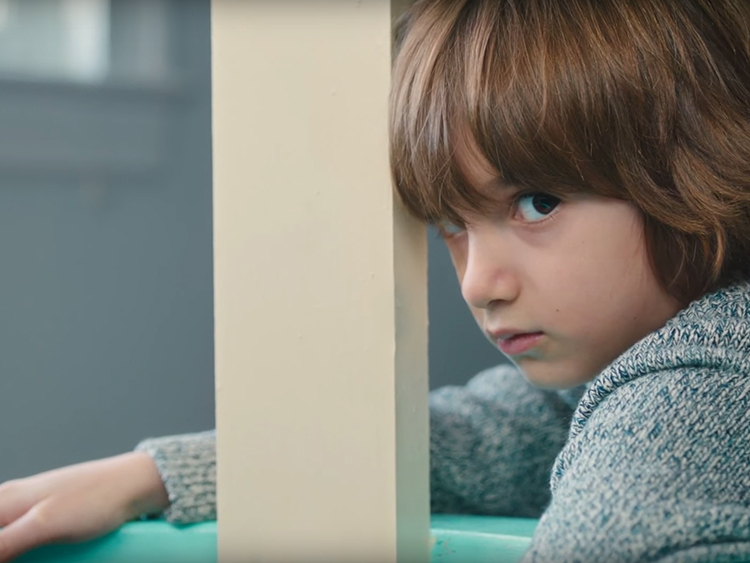 Saturday Night Live captures this feeling perfectly in "Wells for Boys," a fake ad for a Fisher-Price toy. The skit, which aired last weekend and was written by gay comics Julio Torres and Jeremy Beiler, shows a young boy who grapples with feeling different from the others. "With Fisher Price play sets, some kids can be four-star chefs. Some kids can win the race. But some just long to be understood," the ad's voice-over begins. The product is defined as "wells for sensitive boys to wish upon, confide in, and reflect by." The plastic well is modeled after a set from a fairy tale, on which a princess, trapped in poor or lonely circumstances, might gaze into and wish for a better life. "Some boys live unexamined lives. But this one’s heart is full of questions," the voice-over says, adding, "Some kids like to play; others just sort of wait for adulthood." The skit contains several dog whistles to queer viewers. La La Land's Emma Stone, who plays the young boy's understanding mother, asks if he might want to watch the queer classic Y Tu Mamá Tambien. Stone also comes to her son's defense after a football-holding boy criticizes the well as "weird." "That’s because it’s not for you, because you have everything," Stone says. The ad contains echoes of It Gets Better, the campaign helmed by activist Dan Savage that gives hope to LGBT youth. "He’ll grow up to have a wildly passionate and successful creative life, but not just yet," the voice-over says. Wells for Boys also taps into the cultural conversation over how many items for young people are needlessly gendered, in ways that can pressure kids to conform to the gender binary. Watch the heartbreaking and hilarious skit below.